Creative fun for kids of all ages! Make animals, flowers, figures, mobiles, jewelry, castles, bridges, and dolls. Paper straws are easy to bend, cut, or color with markers and watercolors, and they stick with school glue. Use in all art, crafts, design, and childhood development programs. Straws are 15½" (39 cm) long and 4 mm in diameter. Not waxed. White — These white paper straws are packaged in an 1,800-piece school pack. 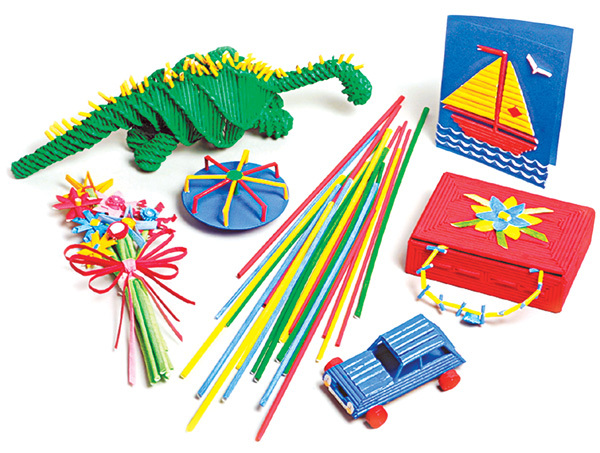 Assorted Colors — This package contains 1,350 paper straws in assorted colors. Colors included are Blue, Green, Red, and Yellow.